Discussions about a potential Singapore-Taiwan Free Trade Agreement (FTA) are coming to a close, with results to be unveiled in the first half of 2013, Taiwanese officials announced earlier this week. Singapore and Taiwan first discussed a possible economic collaboration in May 2011. After nearly two years, an end is finally in sight, with only a few details remaining to be resolved. In a recent interview, Taiwan’s Minister of Foreign Affairs David Lin expressed hopes that the prolonged negotiations will be concluded in June of this year. Similarly, Taiwan’s Vice Minister of Economic Affairs Bill Cho has affirmed that the discussions are heading into the final stretch. The proposed collaboration, known as the ASTEP (or the “Agreement between Singapore and the Separate Customs Territory of Taiwan, Penghu, Kinmen, and Matsu on Economic Partnership”), is expected to boost bilateral relations between the two long-term trading partners. According to the latest data from IE Singapore, Taiwan is Singapore’s eighth largest trading partner in Asia, with total trade registering S$45.7bn in 2011. The island is also Singapore’s fourth biggest importer in the region, with an approximate import value of S$27.3bn. 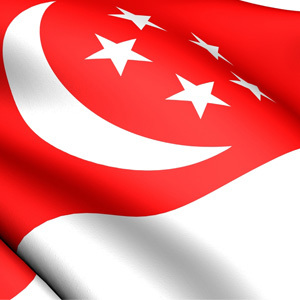 Analysis by Singapore company registration specialist Rikvin highlights the importance of FTAs, and their significance in Singapore’s trade-based economy, which is largely dependent on open trade with external markets. “In addition, free bilateral trade will translate to tariff concessions, faster entry into specific markets, access to priority sectors, and other such incentives. For entrepreneurs who wish to form a Singapore company, this will provide an opportunity to establish a wider presence in Asia,” he concluded.